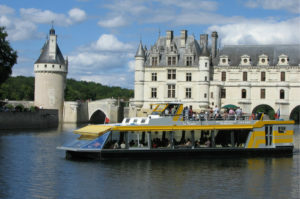 On board of the restaurant boat LA BELANDRE, come and discover Le Château de Chenonceau in another way. 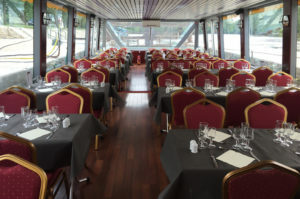 A live commentary is said on board by the guide. You will discover the Cher from Chisseaux en Touraine (2 km away from Chenonceaux), a sinuous and romantic river that skirts forested and vine-covered slopes, right underneath the arches and past the world’s largest and most sumptuous Renaissance mansion (built over a river) : CHENONCEAU.